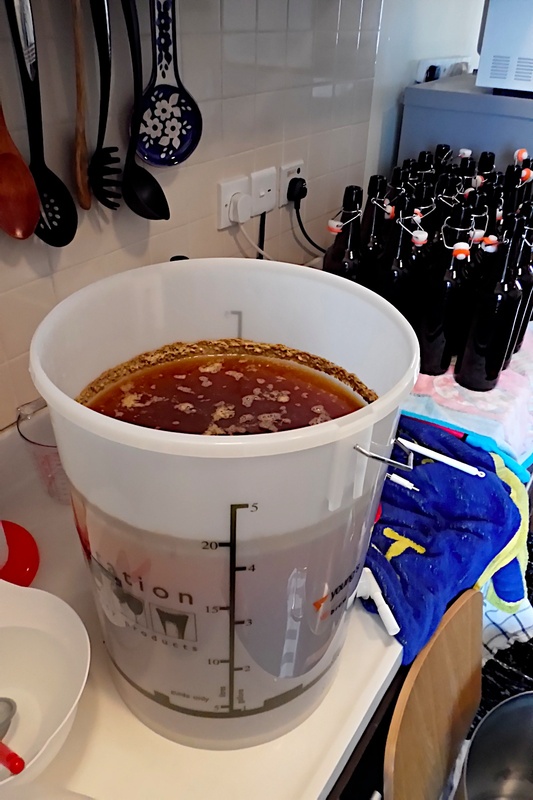 In this third installment of the home-brewing series (see part one and part two) I'll walk you through the next three batches of home brew that we produced this spring. First........the Good. Since time was short for us before the end of the school year we decided to go with a small batch from Brewferm - the Belgian Triple. I love full-bodied, high gravity beers and I was especially keen to make one since some of our other beers had a relatively low alcohol by volume (ABV) and we hadn't had a very malty-tasting brew yet. We used a liquid malt extract (LME) and just added water, basically, which I've decided is not the most fun way to brew. 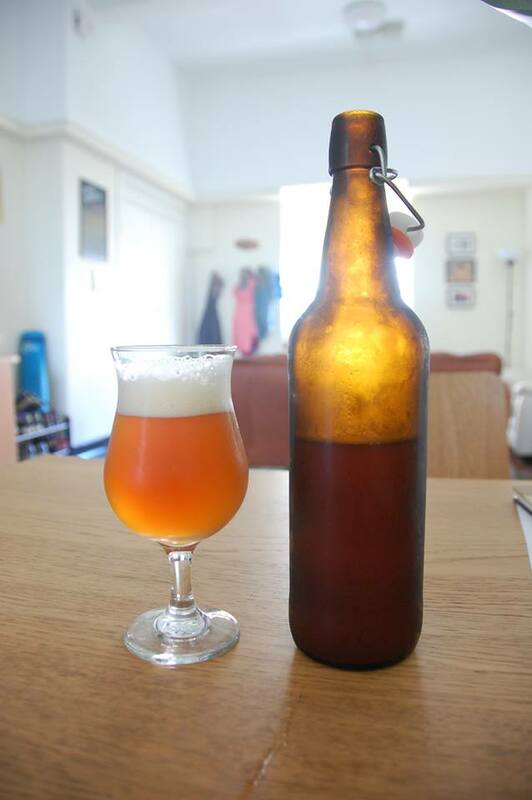 However, after two weeks of fermentation and another two weeks in the bottle the beer turned out to be quite nice with an ABV of around 7.5%. It has been said and I will concur that the longer the beer sits in the bottle, the better it tastes. Luckily, I've left a few more bottles at our place while we vacation in the USA this summer so they should be very nice when we get back. And here is the batch before bottling - after transferring it to an intermediate container and cleaning out the sediment and yeast remnants. Second........the Bad. 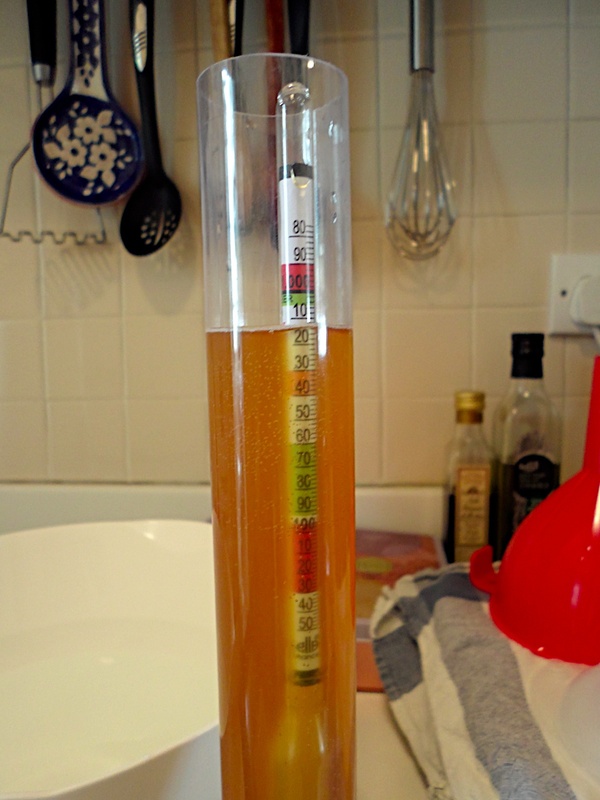 With our second brew we went with another LME kit - this time the European Lager from Cooper's (an Australian brewery). Again, the process wasn't as fun, but we tried to make it more interesting by adding some additional hop pellets during brewing and some additional pellets for dry hopping during fermentation. 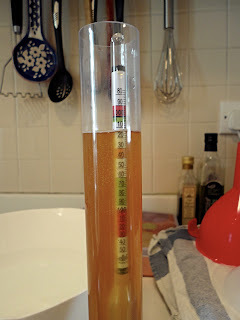 One thing that you should note about brewing lagers is that they require approximately three months of bottle conditioning time, so don't expect to be able to turn these batches out any time soon. We didn't time it well and were only at 10 weeks in the bottle before I left for the summer. However, the bottles that I did try up to that point all tasted a bit "medicinal" or almost like an antiseptic. It was not so nice. I'm going to give it the benefit of the doubt though and wait until I return from summer break to see how it tastes after the suggested wait time. Somehow I'm not too optimistic about the result, but we'll see. Lastly.......the U-mazing. With our third brew we departed from the liquid malt extract kit ways and went with an india pale ale (IPA) recipe using dried malt extract (DME) and hop pellets. This brew felt more hands-on, but we were pretty sure that it was going to be too hoppy after following the recipe. 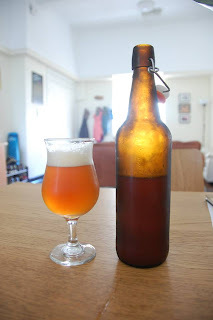 After two weeks of fermentation and 2-3 weeks in the bottle, however, we were blown away by the result..............we had beer that I would happily pay money for! It was quite a relief to finally have a batch that we were proud of and that is more than enough to motivate us to continue our hobby. Since it was a recipe that we used from the distributor I must give credit where it is due, but we are intent on tweaking the recipe using our own combination of hops to make our own version of an IPA. We feel pretty good about turning out four different batches of home brew in that many months. Every batch is a learning experience and we are pumped to travel to our respective countries (USA and New Zealand) over the summer break in search of raw ingredients that we can't get in Hong Kong to use for batches this fall/winter. The goal is to come up with at least one brew to enter into a home brewing competition next March. I think we're up for the challenge.